Refashion Runway Competition: Week Three – Copycat! Here we are, already at week three in the Refashion Runway Competition! Can you believe it? I had a pretty hard time finding an outfit to copy for this week’s theme! I scoured through countless magazines, perused several fashion sites, and FINALLY found a look I not only liked, but knew it was something I’d actually wear! This Anthropologie blouse costs a whopping $78.00! Can you believe it? And the shorts another $68.00! That’s a total of $146.00 for 1 stinkin’ outfit! 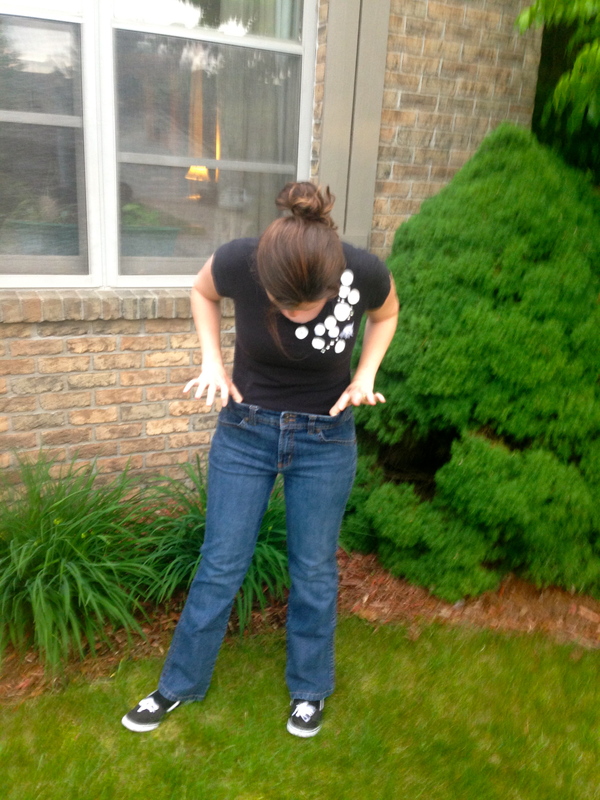 Refashion Runway Competition: Week Two – Denim! We made it to week two of the competition! If you haven’t figured it out already, I’m so excited to be (or have been?) a contestant on the Refashion Runway Competition, hosted by The Renegade Seamstress! Any of you who missed out on week one, the theme for the first week was stripes, and I made a maxi dress out of a bunch of old t-shirts and tank tops. I have a lot of denim refashions I need to get to, but they are all quite simple projects I’ve already seen other people do. I really wanted to challenge myself with something new for this refashion, but hadn’t a clue what to do. Then all of a sudden it hit me. I had this really cool jean jacket I scored for a mere 49-cents, but ever since I wore it for our last family photo session, I can’t find the darn thing anywhere! Frankly, I’ve been pretty frustrated about losing it because it would’ve looked great on several of my recent dress refashions! Super comfy, but not the most flattering pair of jeans I own (Trust me, there’s a reason this picture aint showin’ my backside!). 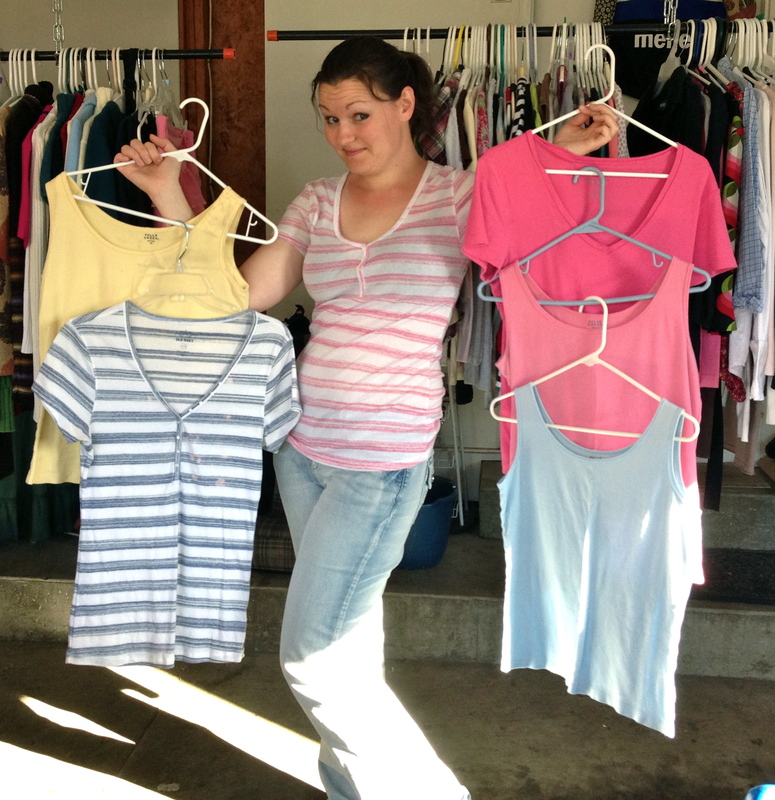 Refashion Runway Competition: Week One – Stripes!